Hi Sarah! 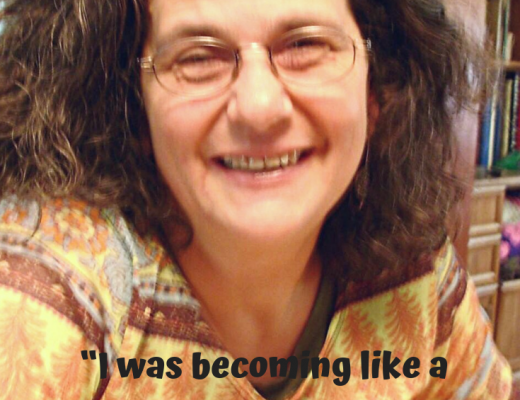 Thank you for sharing your homebirth story with us. 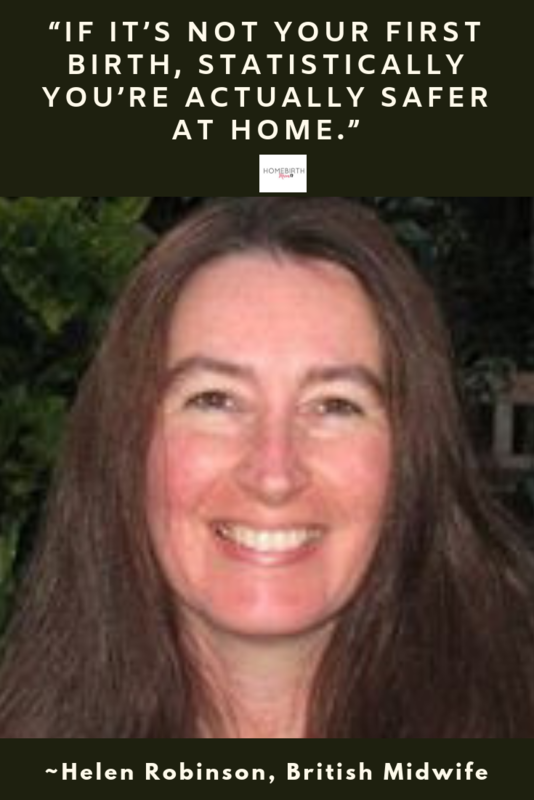 How did you come to the decision to have a homebirth? The decision to have my first child at home was actually partly due to an insurance issue as we were living in New Hampshire and moving back to Vermont to be with my parents so a homebirth would have been a lot less costly than a hospital birth. At the same time I was beginning to appreciate a more natural, down to earth way of life and had started eating organic food. As I started researching hospital birth versus homebirth, I felt like a homebirth was something I could handle. I appreciated the idea of having a baby at home without medical intervention. They didn’t give me a hard time but they were a little unsure about it. They trusted me to do what was right but they weren’t so familiar with the concept of a home birth so they had to adjust to the idea. Tell me more about your homebirths. 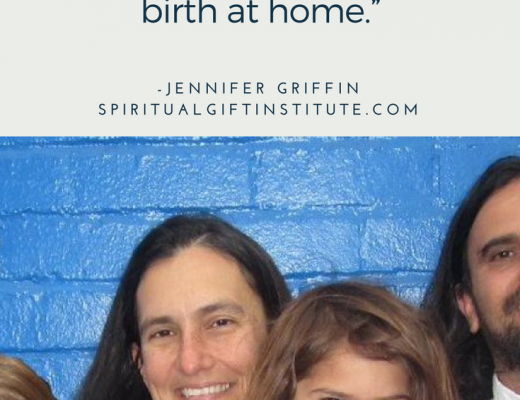 I had four homebirths and my first, I have to say, was my hardest birth. He is fine and everything went fine but I ended up choosing a midwife who was very very natural and I think she made me endure pain unnecessarily. She didn’t break my water when I was transitioning and I ended up pushing for an hour. My midwife who I use now breaks my water for me if it’s not breaking on its own, but my first midwife felt it had to be 100% natural and wouldn’t do anything to help move my labor along and it was so painful. I think if she had just broken my water I would have had a much easier birth and recovery. What was the most comforting to you when you were in labor? My third homebirth was right before a bad snowstorm hit and I had two little kids at home. At the time my parents were a few hours away and I was just so relieved that I was having the baby at home and not having to go out to the hospital in a snowstorm and have to find childcare for my other kids. I just felt that having my kids at home with me while having my baby at home was a big relief and comfort. 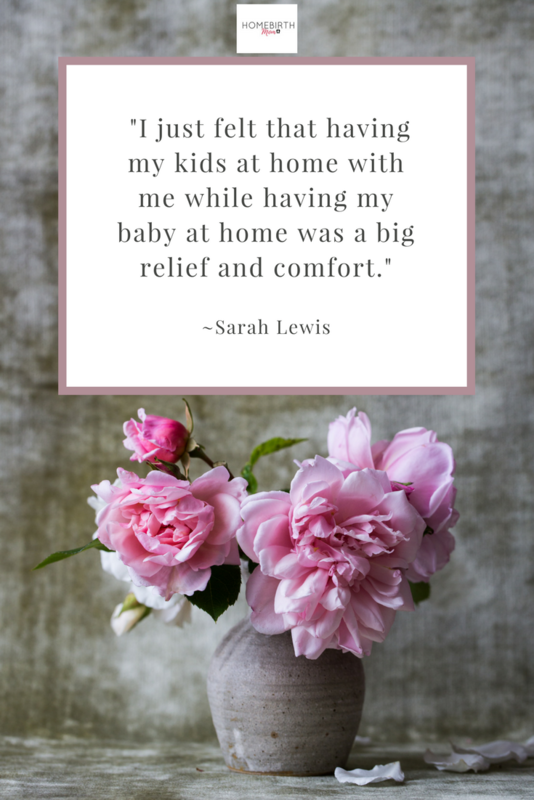 How did you cope with your contractions? What worked for you? They just put their mind above the physical pain and focus on the end goal. Every contraction is bringing you closer to your baby, so it is actually exciting. It’s painful but it’s not useless or pointless. It is purposeful pain. 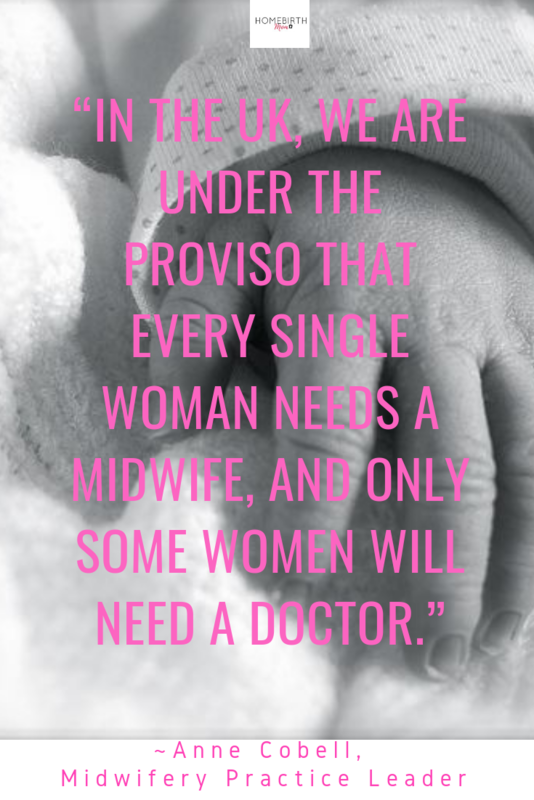 That the midwives are able to do basically everything that can be done in a hospital. They can put in stitches, start an IV, and all of that. 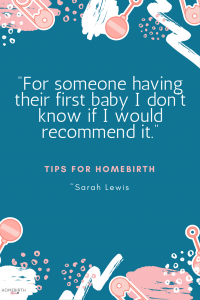 What do you wish other people would know about a homebirth? I’m not actually such a homebirth advocate. I know for myself that I can do it. I prefer it because I have confidence in myself and my body and it’s abilities. But I do wish people would know it is not a dangerous, risky, careless, irresponsible thing to do. I get that a lot and I don’t like talking about it for that reason because I get a lot of backlash. I usually feel out other mothers before being open about it. You can tell other mothers who think it’s cool or have done it or are interested in having one. 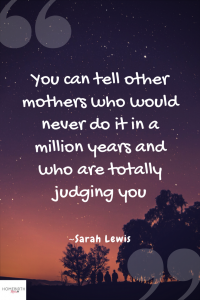 And you can tell other mothers who would never do it in a million years and who are totally judging you and I won’t start up a conversation with them about it. 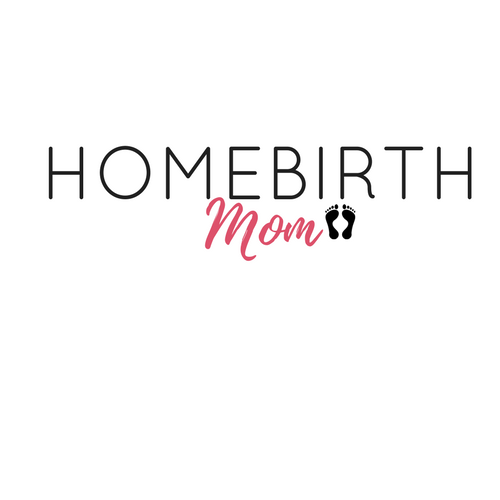 If someone was thinking of having a homebirth what would you tell them? Well it depends on the person and if it is their first baby or not because I think it is very hard to have a homebirth with your first baby when you don’t know how your body will handle labor and birth. I think you generally handle it the same through all of your pregnancies, with the same endurance and discomfort. So for someone having their first baby I don’t know if I would recommend it, but for someone who’s having their second baby and would like to go more natural I would totally recommend it.